We took the best parts of childhood, removed all of the awkwardness and added heaps of made-from-scratch birthday cake and frosting (inspired by the boxed supermarket stuff we grew up with). Meet Milk Bar’s B’day Cake, packed with b’day crumbs in the middle, even more on top and dreamy vanilla vibes throughout. Now blow out the candles and wish for a pony. 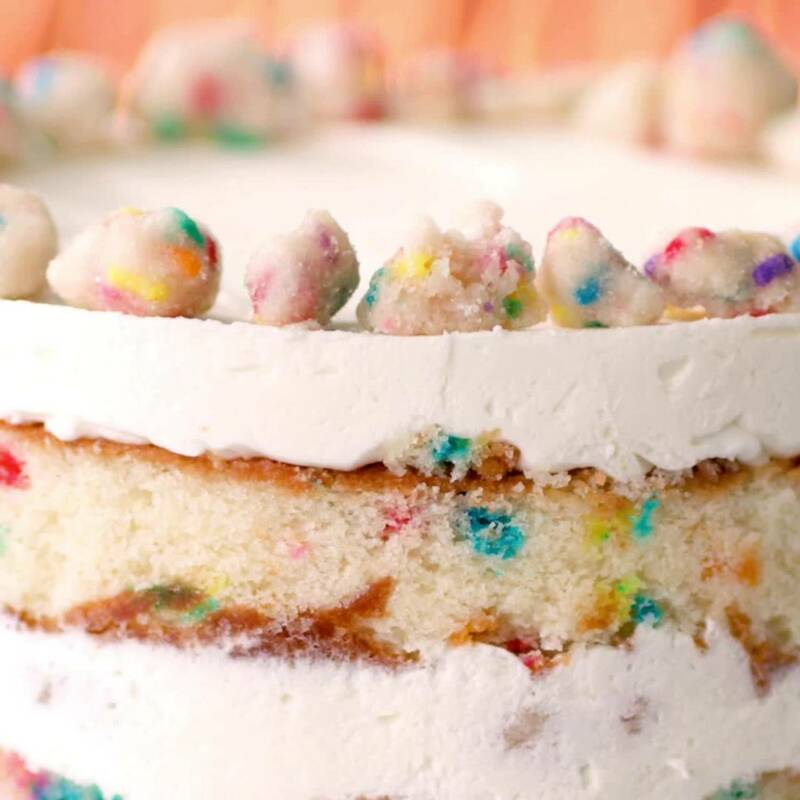 Fun Fact: It took Tosi + the Milk Bar team over three sleepless years (ok there were some naps) to deconstruct and finally arrive at that perfect, nostalgic, funfetti flavor. It’ll take you significantly less time to enjoy.